What we have termed the Backyard Revolution enjoyed its third installment last Saturday, August 15th in Bristow. 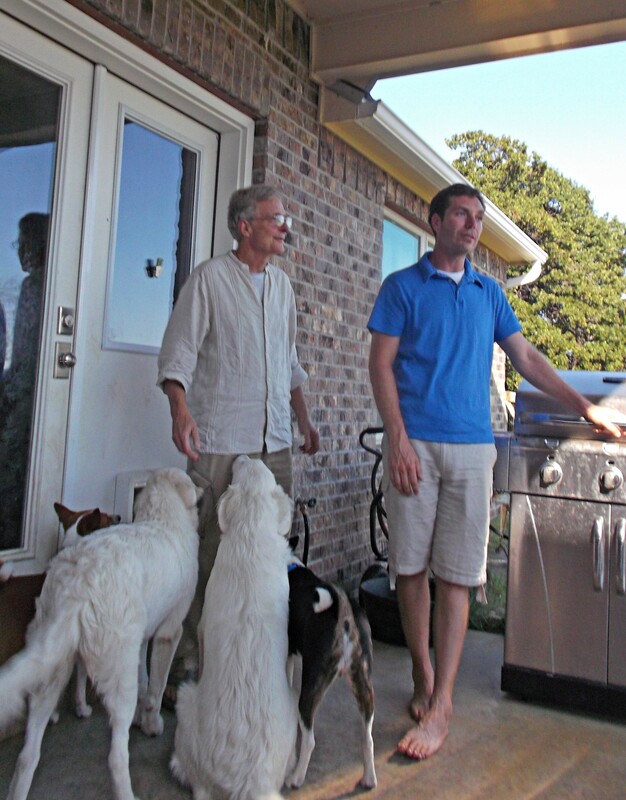 If you have not heard of or read about the Backyard Revolution, you can read about it here and watch a little video. Mike, Marilyn, and Pete of Sloth Acres welcomed us to their farm for a microgreens workshop. 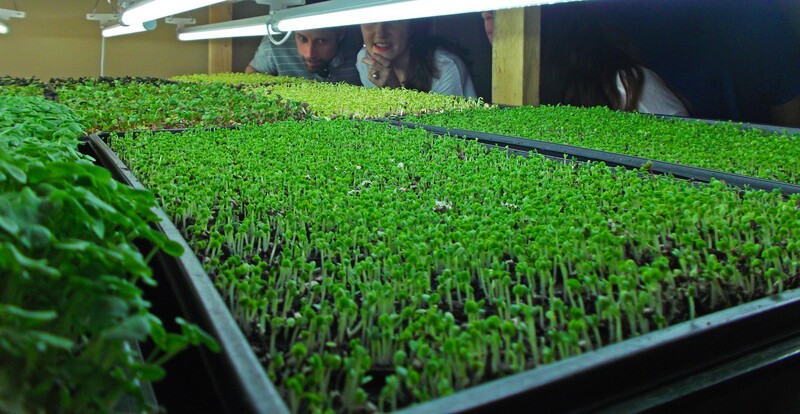 What are microgreens? Microgreens are not sprouts. They are more like shoots and are harvested just after the first leaves are formed. They grow in soil, unlike sprouts. They are mega nutritious and often take on the flavor of the fruit of a full grown plant. The radish greens tastes like radish. The pea tendrils taste like peas. They grow these greens in a spare bedroom in their house. Seeds are germinated in a high quality soil in a dark closet and once sprouted are moved to the shelves under grow lights. 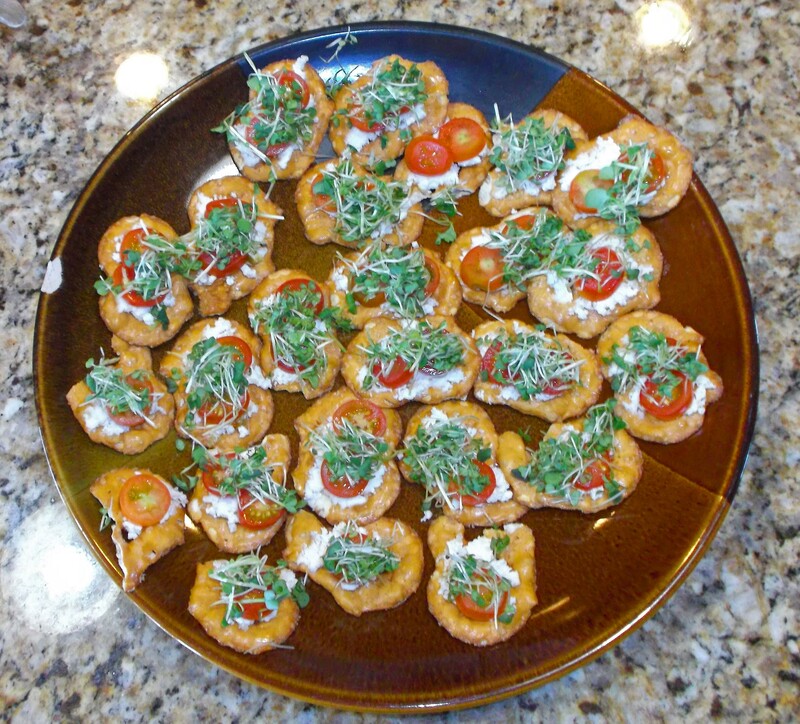 Marilyn created a delicious and visually pleasing way of sharing a taste of the microgreens. I sampled the greens while enjoying a frosty mug and pleasant conversation as Mike and Pete answered questions from the guests. The guests were then given a tour of the grow room where we viewed this wonderful microcosm of macro-nutrients. Afterward, some of us enjoyed the back patio and toured the other great things the farm has implemented such as a garden, ducks, chickens, and bees. We are very appreciative of those willing to open up their homes and host workshops/classes/tours and sharing with us the ways in which they are choosing to live free right now. We are always looking for others who are interested in hosting an event. Not only do we learn something we also enjoy some wonderful socializing and networking with free thinking, free minded individuals. Please visit Sloth Acres at the Cherry Street Farmer’s Market on Saturdays from 7-11 am. 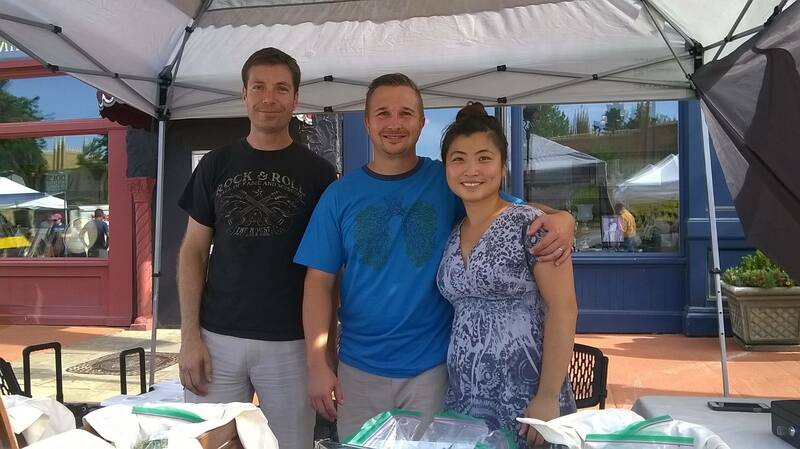 Buy some greens and chat with them about microgreens. They will be happy to answer any questions you have about them. Check out their Facebook page and a blog. If you are interested in hosting an event, please contact LibertyOnTapOK@Gmail.com. If you wish to stay informed on future events send us your email information here and receive email notices. You may also subscribe to our Facebook events. This entry was posted in Backyard Revolution, LOT Event, self sufficiency, Uncategorized and tagged cherry street farmer's market, living free, microgreens, self sufficiency, sloth acres, Tulsa. Bookmark the permalink. Sounds very interesting. 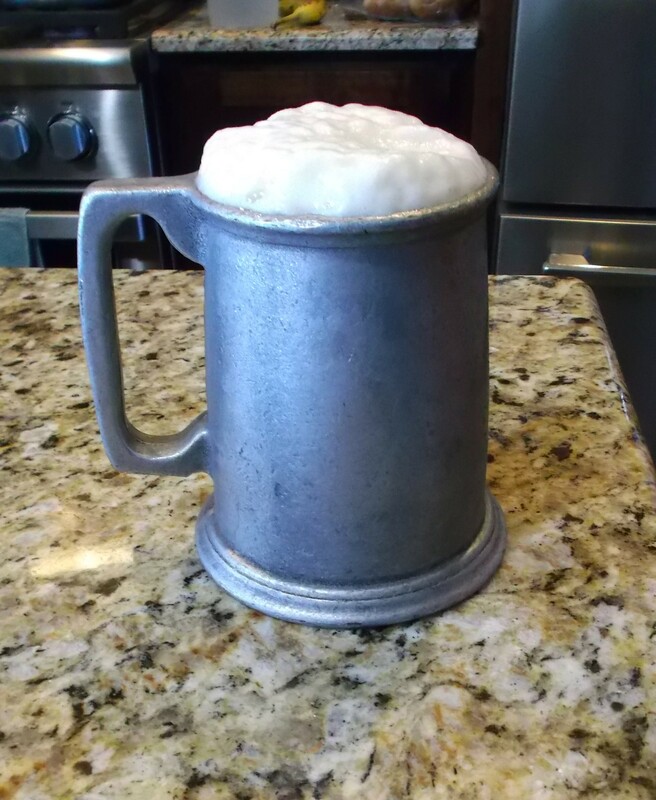 I live off grid and am as self sufficient as possible. I’m hoping to find like minded farmers to collaborate with, whether that’s writing as a guest, hosting or finding an outlet for my Olive oil and almonds.